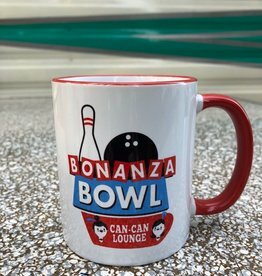 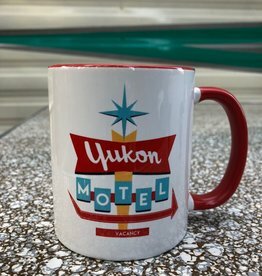 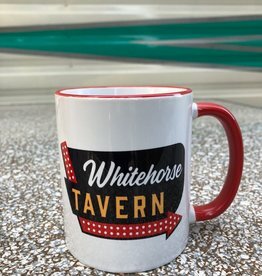 Souvenir mugs designed in the Yukon and exclusive to The Collective Good. 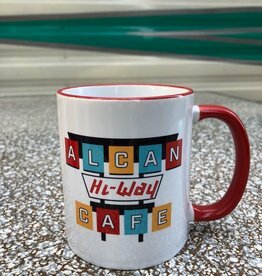 One of our most popular motifs – a good’s brand original. 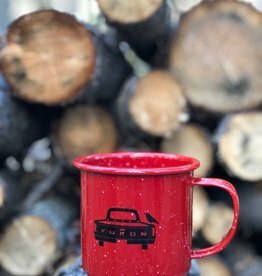 Whether out in the Yukon wilderness or just day dreaming of being out in the Yukon wilderness from your cubicle, this sturdy enamel mug will soon be your go-to for beverages hot and not.